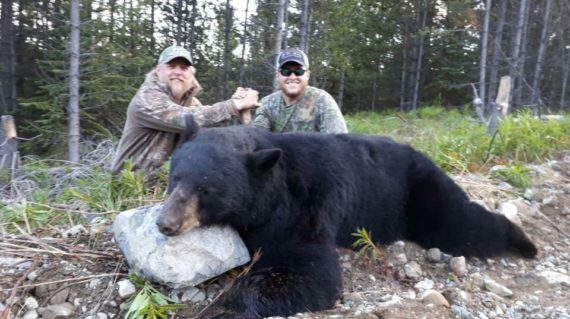 Fawnie Mountain Hunts conducts 7 day bear hunts beginning each Spring starting in May when the bears are fresh from hibernation, and the hides are excellent. 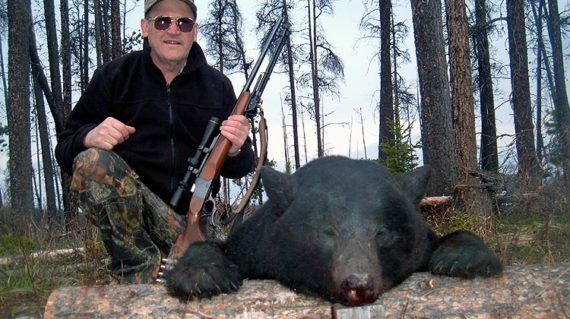 Hunts are conducted from our main Lodge at Laidman Lake. 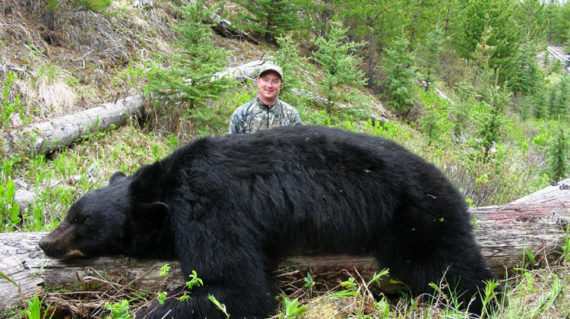 Spring bear hunts may be combined with a wolf hunt for an additional fee. 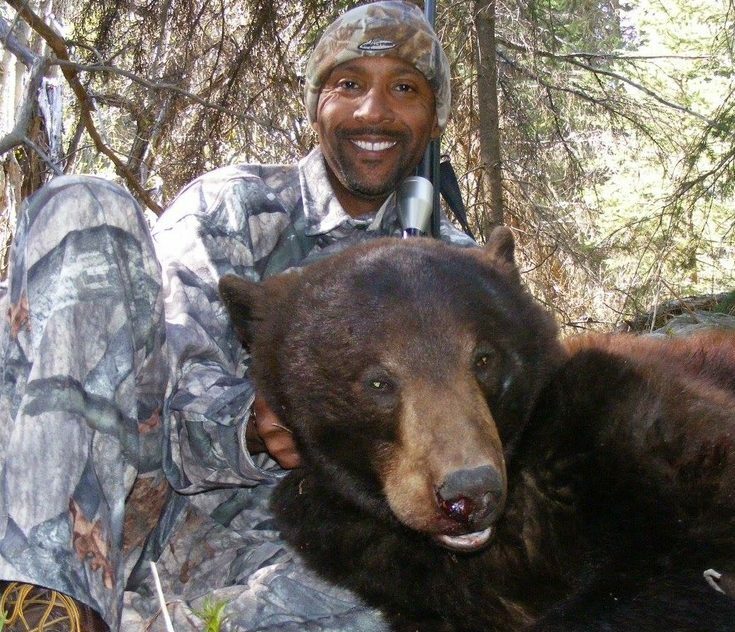 Our area has a very high population of LARGE color phase black bears, because of excellent habitat and the fact that it is not over hunted. 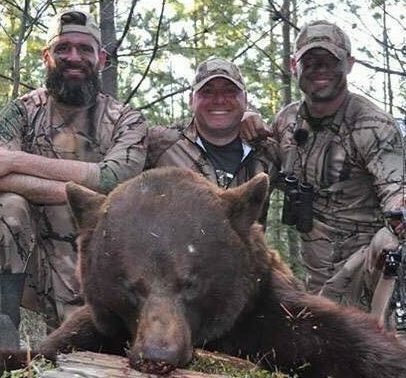 We mainly hunt them only two weeks in the Spring season when they are fresh out of hibernation and concentrated on feeding areas where they are relatively easy to find and stalk. The hides are excellent at that time, much better than coastal bears because of our colder winter temperatures. 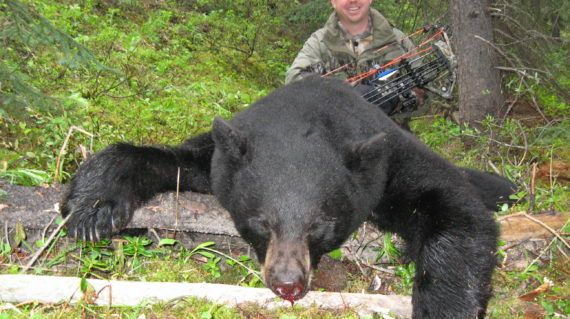 Success rates are very high during this time, averaging 170% for many years, because many hunters will shoot two bears. The hides range in size from 5 feet to 8 feet squared. From our Lodge at Laidman Lake we drive old logging roads that lead through old logged areas that produce excellent feed for the bears. We are able to spot and stalk the bears without long hikes. Often we can glass them from a distance and judge their size. Upon a successful hunt, our guides will prepare the hides for the taxidermist. Hides are stored in a refrigerated unit at Laidman Lake before they are driven to Prince George where they are delivered to a taxidermist. 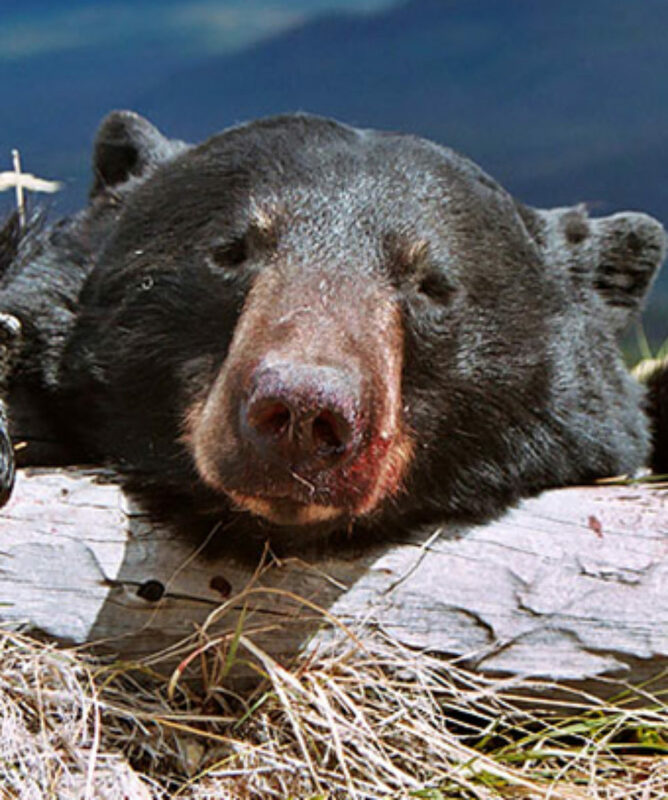 For hunters wishing to take bear meat, the meat can be stored at Laidman in our refrigerated unit and taken to out to our selected meat cutter in Prince George where clients can make arrangements directly with the meat cutter.